Are you in need of urgent plumbing, air conditioning, or heating repair in Cedar Knolls, NJ? Do you need a new toilet installed or furnace replaced? Rite Rate Heating & Cooling is your one-stop solution plumbing, heating, and air conditioning company in Cedar Knolls, NJ. Whether it’s a kitchen sink installation or heating repair, Rite Rate has you covered! We always guarantee 100% customer satisfaction and free estimates on all of our services. If you need repairs, installations, or replacements, call our plumbing, air conditioning, and heating company! Is your boiler or furnace leaking or randomly won’t turn on? Is there no hot water when you turn on your kitchen or bathroom sink? 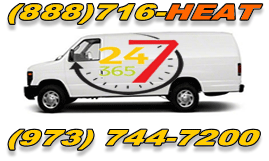 Turn to Rite Rate for 24-hour emergency heating repair in Cedar Knolls, NJ! With our heating repair, you can trust that we’ll fix any heater in your house, office, or business. Our heating company also offers heating replacements as well as affordable heating installations. There’s no hot water heater, furnace, or boiler that we can’t service. Rite Rate is a licensed heating company in Cedar Knolls, NJ and will provide quality solutions for all your heating needs. Having a reliable air conditioner is a priority and that’s why at Rite Rate, we put our customers first! Our air conditioning company provides high-quality air conditioning repairs and if anything needs to be replaced; our contractors will handle that as well. Our team can also recommend the best air conditioner for your budget and then install it quickly. If you're interested in upgrading to a new environmental-friendly model, our technicians are knowledgeable on all types of AC’s! We're licensed to service any central air conditioning, packaged air, heat pump, forced air, ductless air conditioner, or air handler to name a few. When you need an affordable air conditioning company you can count on, look to Rite Rate! Our licensed and insured plumbers arrive on time and are well equipped to offer you the best plumbing services. We are available 24/7 so that you can rely on us at any time of the day or night for plumbing repairs. If there’s a leak or a clog, our plumbers will fix the problem in no time! We can install, repair, and replace toilets, drains, sinks, faucets, bathtubs, showers, and sump pumps. At Rite Rate, we also provide drain and sewer cleaning as well as water damage restoration. Contact us anytime you need residential or commercial plumbing services that are pocket-friendly and efficient!